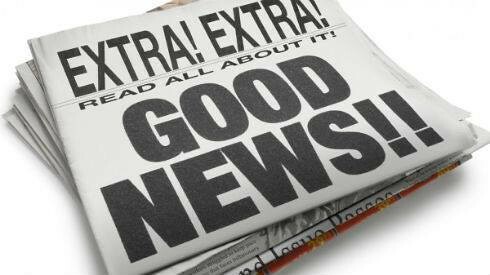 Spread the News – with a Client-Attractive Newsletter! Fortunately there’s a better way to connect with clients and prospects than shouting through a bullhorn! A business newsletter is a marketing power tool that can help you reach more people and attract more ideal clients! – Is your practice the first thing your clients think about when they need health care? – Do you want loyal clients who don’t even think about going to another practitioner? – Would you like to have a solid base of clients who regularly refer others to you? – Do you want referrals from physicians and other healthcare providers? – Would you like for these referrals to become loyal clients who make referrals? Not contacting your clients on a regular basis is one of the biggest marketing mistakes you can make as a wellness practitioner. And yet, according to a research poll, only 10% of holistic practitioners send a newsletter to their clients. When you don’t keep in touch with current and past clients, they are less responsive to you, less loyal to your business and less interested in your services. The most valuable business asset you have is not your office, not your equipment, not your skills – it’s your clients. – Keep clients informed about your business news. The whole purpose of marketing is to build relationships with people over time, so they always think of you for their health and wellness concerns. Marketing helps to build a solid relationship with clients, so that you retain their business over the long-term. Contacting your clients on a regular basis is one of the strongest marketing strategies you can use. Keep in touch with the people on your list of current or past clients, so they stay responsive to you, loyal to your business, interested in your services and happy to refer people to you. While a printed newsletter is effective, an ezine is even more so. An ezine – tech-talk for email magazine – has an added advantage of saving you time and money, because it doesn’t have printing tasks and mailing costs. Either way – print or online – a newsletter helps you: Communicate regularly with your clients and colleagues; build the crucial know-like-trust factor with potential clients; establish recognition of your brand; promote your service; encourage referrals from clients, doctors and other practitioners; give you an edge over competitors who do not use a newsletter. 1. Have an opt-in box “above the fold,” so that people can subscribe if they received your ezine via forwarded email from a friend! 2. Embed clickable links to your website with text and images throughout your ezine. Provide links to products, programs or events. Your ezine banner should contain a clickable link to your home page. Links help readers get more information fast and can have a big impact on sales. 3. Include links for readers to follow you on Facebook, Twitter, LinkedIn, Pinterest, and any other social media sites that you – or they – use regularly. There are many attractive and affordable options of icon sets to coordinate with the look of your ezine, for visual interest. 4. Use a P.S. to ask readers to forward your ezine to their friends, followers, and colleagues. You can also use the forwarding feature available with most professional online email services. 5. Post updates on social media sites each time you write a new article. Include a link to your opt-in page and encourage readers to subscribe for regular delivery. 6. Grow your mailing list fast, with a link or reference to it in places people are likely to opt-in. For example: your email signature, in your bio, within the footer of online articles, your business card and all printed marketing materials. 7. Include an offer. Make your ezine an effective marketing vehicle with this one simple rule: Always include an offer – an existing product or resource, a new launch, a free Discovery Session, a “read more” link to your website. 8. Provide a free way to learn more about your business. Whether casually in a social situation or more formally in a presentation, offer your ezine and its free gift to everyone you talk to. 9. Start where you are and make improvements as you go. Don’t get bogged down in creating the perfect ezine before you start sending it. With the online format, it’s easy to make changes. 10. Send it regularly and frequently. Weekly is ideal! If that’s too overwhelming at first, send it every 2 weeks. Less than that – don’t bother! Seeing you often keeps you fresh in your client’s mind. Inconsistency undermines your credibility. If you’re short on time, start with every 2 weeks and implement one new feature each week until your newsletter is complete and your publication schedule is in full swing with a weekly ezine going out to all your clients and colleagues! A note via email, postal mail or on your recent blog post, plus a simple offer, are all you need to get started sending your ezine today. Tweak it a little each time and before long you’ll have a high-powered marketing tool that attracts clients while you work, play and sleep! This entry was posted in Client Attraction, ezine, Marketing, Marketing, Marketing Materials, newsletter, Stay-in-Touch and tagged ezine, newsletter by The Prosperous Practice.Bookmark the permalink.